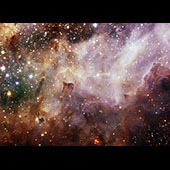 This near-infrared image details part of the M17, the Swan Nebula. 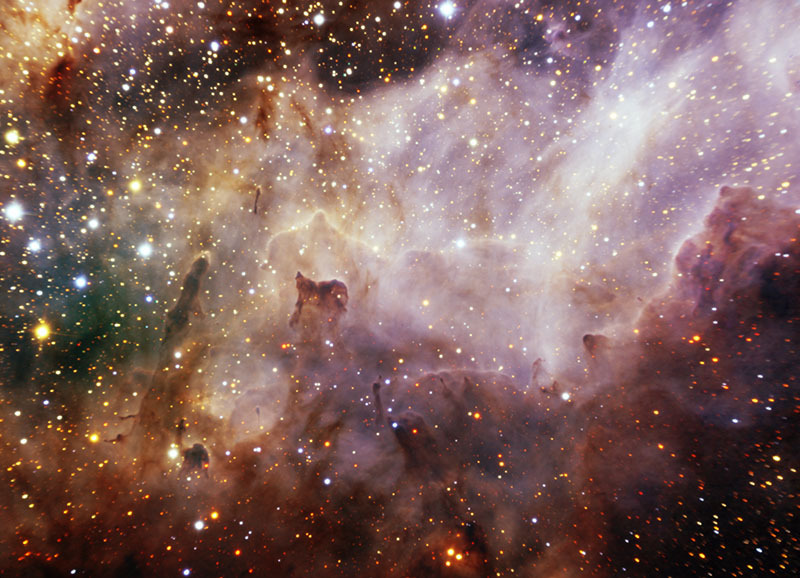 Ultraviolet radiation streaming from young hot stars is sculpting a dense region of dust and gas. M17 is one of the most massive and luminous star-forming region's in our Galaxy.